Whether you want to breathe less while swimming, better your running endurance, or just want to show off to friends at a party, increasing your lung capacity can benefit you. While no one can increase the physical size of their lungs, it is possible to train them to be more efficient in taking in and using oxygen. This allows a person to breathe in more air and hold it longer. Increased lung efficiency also leads to a healthier lifestyle because the body can better use the oxygen it takes in. 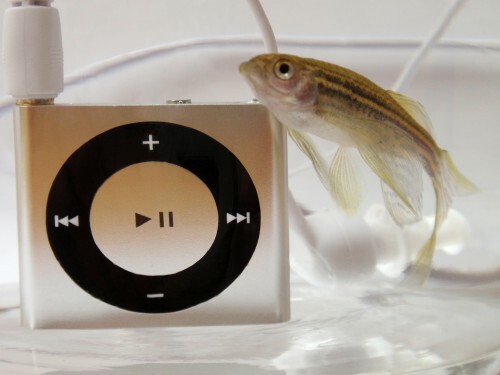 Training on its own may not be very entertaining, so use a waterproof iPod and headphones to help you out. Try the Swimbuds Sport headphones from Underwateraudio.com. 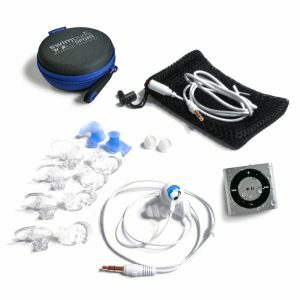 These waterproof headphones offer great sound quality, and come with a variety of tips to find that perfect fit for a watertight seal and comfort. Now, everyone’s lung size and maximum capacity varies so you may never be able to hold your breath for as long as someone else can, but it is possible for you to improve. Here are a few tricks and exercises you can use in your quest to increase your lung capacity. One of the simplest ways to build up lung efficiency is through breathing exercises. These are great because they don’t take a lot of time to complete and most don’t require anything but yourself and air. *You should start light on these exercises and then slowly increase because too much too fast can lead to light-headedness. One of the most popular exercises is pursed/pinched lip breathing. To do this, inhale as much air as you can through your nose. This should cause your abdominal muscles to push out. Then, exhale slowly with your lips pursed so there is only a very small hole for the air to escape through. This will make a hissing sound and should take about twice as long as inhaling, putting pressure on your chest. Another simple exercise is simply breathing deeply. To do this, breathe in as deeply as you can and then count to 20 (or as close as you can get to that). Then exhale slowly. Repeat this several times. Over time, you should be able to hold your breath for a longer count. Some exercises you can do with a simple prop, such as blowing up a balloon in one breath repeatedly. The balloon creates resistance for you to work against. There is also a candle exercise. Place a lit candle closely in front of you and slowly exhale a stream of air until the candle goes out. The key to this exercise is to exhale slowly and not in a puff. Once you get good at this, you can start moving the candle further away, where it will take more air to blow out. One good way to increase lung efficiency is to exercise at higher altitudes. The higher you go, the less oxygen there is in the air. This forces your lungs to use the oxygen they can get more efficiently. It does take a little while to accustom yourself to the change, and if you go too fast you may develop altitude sickness, so be careful. Once you do adjust, working out in lower altitudes is a piece of cake. The down side? The benefits only last about two weeks, and then your lungs get used to the increased oxygen content again. While some athletes are dedicated enough to live in higher altitudes for the duration of their training and only come down for races or meets (sounds like the beginning of a ninja movie…), it’s not for everyone. Don’t get me wrong-I’m not saying you're not working hard already, but to really get your lungs to be more efficient, you need make them work harder. Participating in sports that require stamina can do this. Another good way is aerobics. Even better is water aerobics. Since water is thicker than air you have to work harder to move through it, and that includes your lungs moving in and out. The increased resistance forces your lungs to work harder and adjust to using air more efficiently. You can also do yoga. Yoga is a very breathing-focused exercise and is a good way to learn breath control. 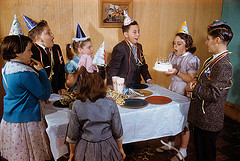 Singing or playing an instrument requires good breath control because every time the exhaling stops, so does the sound. Not to mention volume and sound quality control. Taking singing lessons or learning to play a wind instrument (trombone, trumpet, clarinet, flute) can greatly help to increase your lung capacity. If you want an additional challenge, you could even join a marching band, which would require playing the instrument while moving around. Do you have any tricks for holding your breath longer?